We are proud to have the all new 2017 Ford Super Duty at Kokanee Ford in Creston. The Super Duty has been engineered to be the toughest, hardest working, most capable heavy-duty pickup we have ever built. With an all-new high-strength, military grade, aluminum-alloy body, the Super Duty has a stronger frame than ever before, yet is up to 350 pounds lighter. Kokanee Ford in Creston has the all new 2017 Ford Super Duty on our lot and would love to show you around this class leading truck. Click here to see all our Super Duty inventory. The all-new Super Duty delivers the highest combination of horsepower and torque ever in a Ford heavy-duty pickup. The 6.2L gas V8, with its best-in-class gas torque, delivers more heavy work-capable muscle. Need the heavy-duty stamina of a durable, powerful diesel? The available Power Stroke Turbo Diesel V8 – the class leader in diesel horsepower and torque – is ready to join your work force. You can also upgrade to available Diesel Engine-Exhaust Braking for enhanced downhill braking control at the push of a button. We know that when you buy a truck, you expect it to stand up to the harshest of conditions and to be something you can rely on for years to come. The team at Ford made sure the 2017 Super Duty was ready for any task. 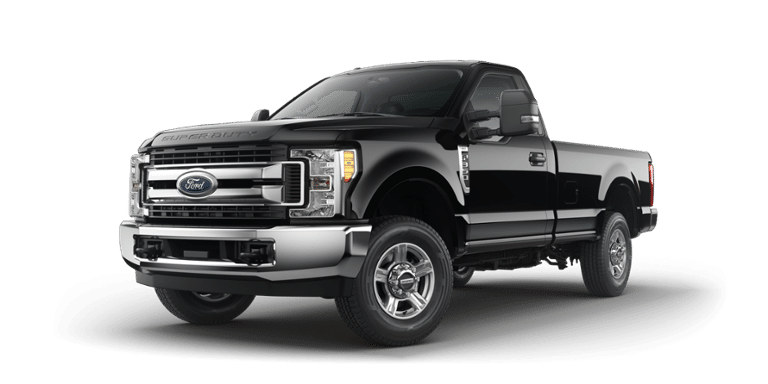 The Super Duty boasts a high-strength, military-grade aluminum-alloy body, fully boxed high-strength steel frame, upgraded suspension and steering, larger brakes and was tested over 19 million kilometers. The Super Duty is ready to tackle the challenges of life in the Kootenays. The Super Duty is not only the toughest heavy-duty pickup ever, it is also our smartest. A host of available technologies will make your life easier. Among them are BLIS (Blind Spot Information System) with Cross-Traffic Alert and Trailer Tow, Trailer Reverse Guidance System and Sync 3. You will also find a class-exclusive adaptive steering system which continuously adapts to the speed of the vehicle. You can also add new cameras to many different areas of the truck for enhanced visibility for on-site tasks.